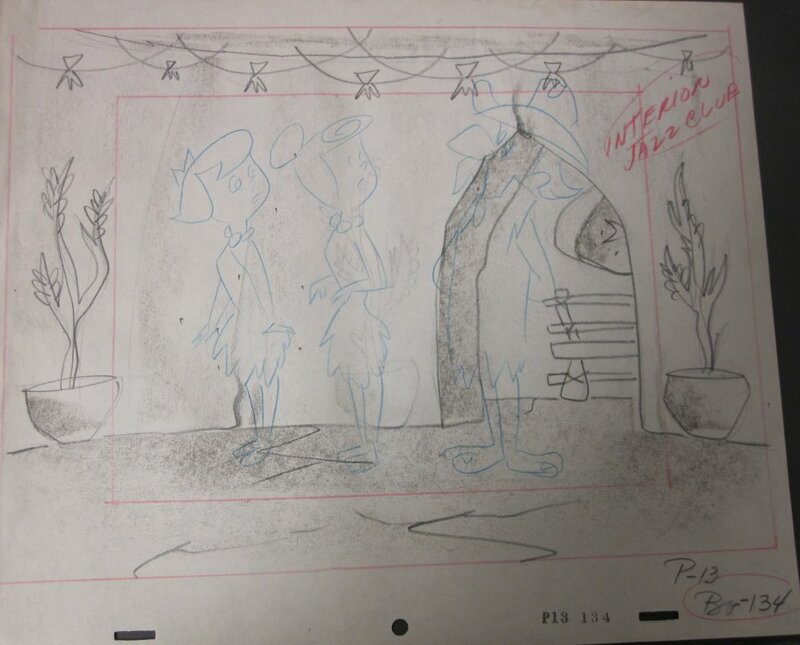 This is an excellent background layout drawing from the episode "The Girls' Night Out" of The Flintstones (1960). Wilma and Betty can be seen in blue pencil. The untrimmed animation paper measures 10.5" x 12.5".